Irish Blue…ancient colors of Ireland! Saint Patrick’s Blue…Irish history of a different hue! Frequently when we see any images of Saint Patrick he is always depicted in a green chasuble and a white miter of a Catholic Bishop. However, Saint Patrick was portrayed before the 20th century in various tones of blue. Blue and gold it seems are historically the colors associated with Ireland and its ancient settlements. The green and gold that we traditionally think is most associated with the Irish saint and the Irish republic are centered around the use of the shamrock by Saint Patrick as a tool for Catholic catechesis to explain the nature of the Holy Trinity. As a result, green became the color that most prominently described Irish Catholics in both Ireland and the United States after 1750. The standard of the President of Ireland depicts a golden harp on a blue field. 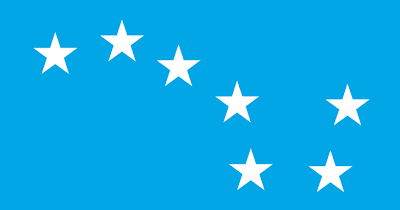 The flag used during the Easter Uprising of 1916 was called the Starry Plough and contained the stars of the celestial constellation of the Big Dipper. Uniquely, the ribbon associated with the American Congressional Medal of Honor uses a similar color scheme and use of stars to denote the highest military decoration in the United States. Blue and gold were colors associated with the ancient kings of Ireland and to this very day the colors are used on Irish crests and insignia. The Catholic intervention of the shamrock with the teaching of Saint Patrick most likely cemented the association of the color green to the Irish for all times. However it could also be said to clearly represent the verdant colors that are apparent in Ireland, and a heralding color of the new growth of spring. Colors play a pivotal role in the history of the Irish people. Even the color orange is closely linked to the Protestant minority that calls Ireland itâ€™s home. Frequently, there are distinctions made between the Orange Irish and other Irish groups. Quite simply, orange indicates the Protestant religious roots of the followers of William of Orange a British monarch that defeated the Catholic King for political and social control over the Irish people. Sadly enough the division continues in Northern Ireland today where there are clearly lines of discontent between the Irish Protestants and the Irish Catholics. Whatever color is most associated with Ireland, one really needs to know that each nuance is tightly tied into the history of the Emerald Isle, and directly into our own American history as well. The Irish of both religious sects contributed substantial social, political and religious point to the development of the American culture and the United States. 3 users commented in " Irish Blue…ancient colors of Ireland! " Excellent!! Your work continues to excell as you reach to explain in detail the entire story which keeps the reader engrossed in your work. God bless and keep you and may his face shine upon you this blessed Irish Day! I am having celtic symbols embroidered on blanket throws and was interested in learning what colors were appropriate.These are being sold to make money for Kids With Cancer.